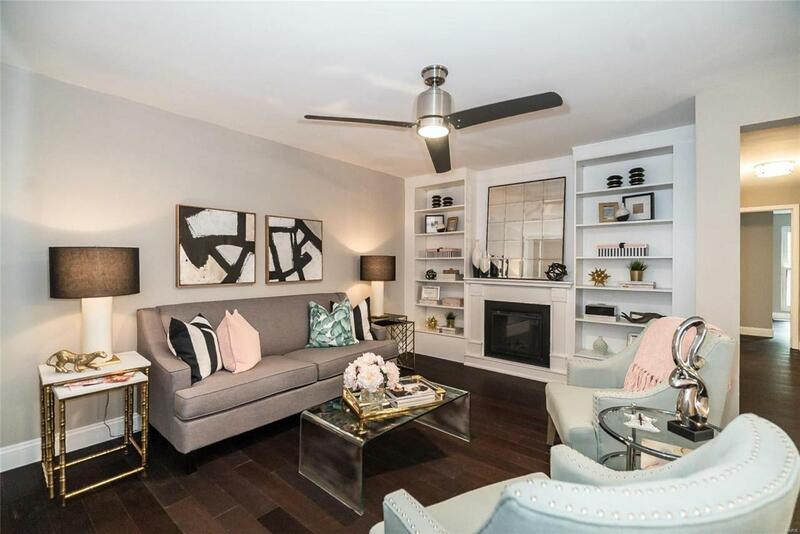 Sophisticated 1-level garden condominium beautifully renovated throughout! 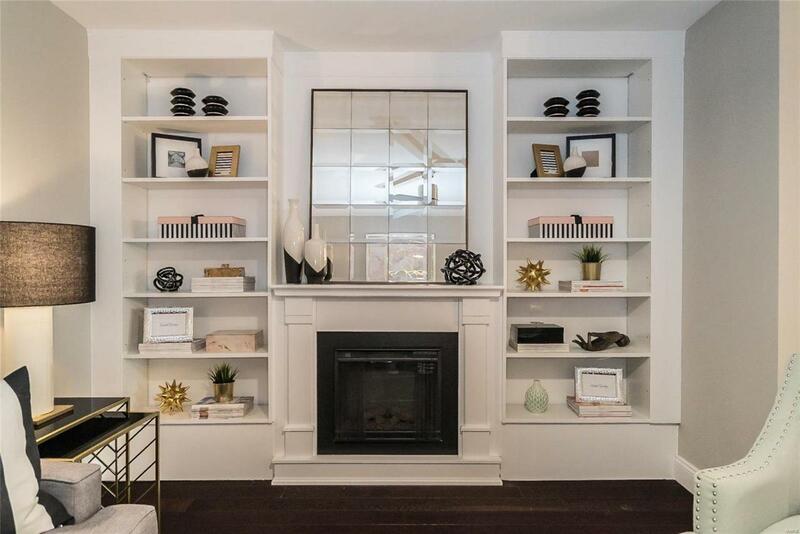 Open floor plan features spacious living room with fireplace flanked by built-in bookcases and light-filled dining room with sliding glass door that opens to covered patio overlooking private courtyard. Designer kitchen is a chefs delight with white Shaker cabinetry, Carrara marble countertops & premium stainless steel appliances. 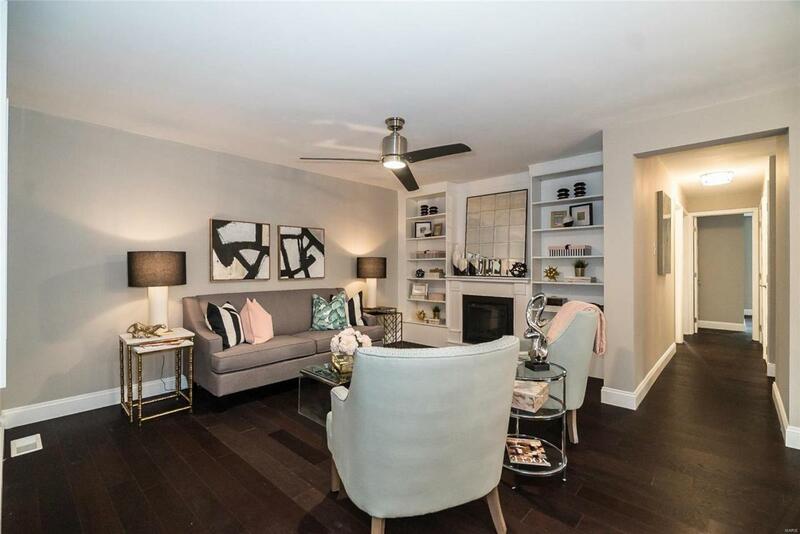 Master bedroom suite with 2 double closets & marble master bath with walk-in shower plus a generous-sized additional bedroom, hall full bath & laundry complete the living quarters. Amenities include clubhouse, pool, 2 garage spaces & storage unit. 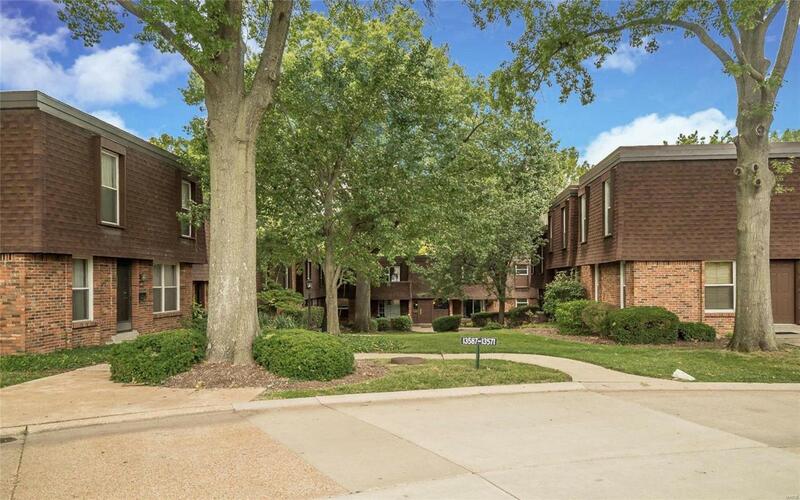 Convenient Chesterfield location within walking distance of shopping, restaurants & Faust Park with easy access to Hwy 40.